Keeping your glass shower free from streaks and buildup can seem difficult or time consuming, but with weekly cleaning, your glass can look beautiful. 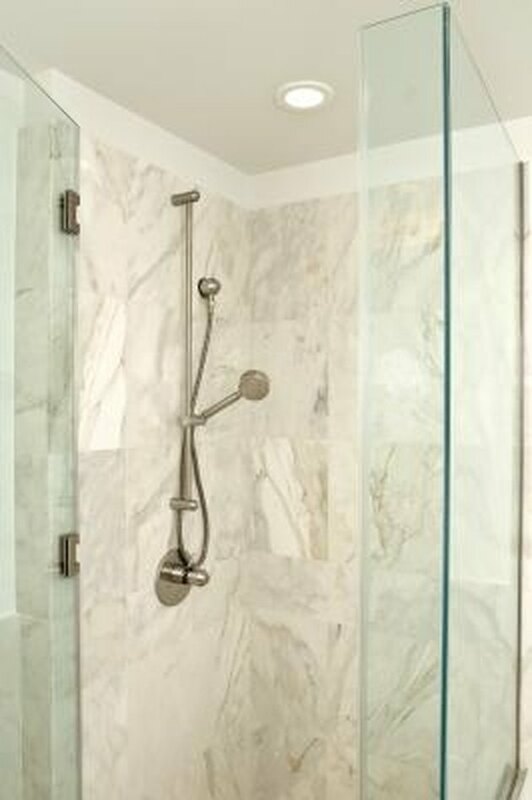 Taking extra care of your shower glass can preserve its beauty for years to come. Use natural products whenever possible; they are generally more gentle than some commercial glass cleaning agents. White vinegar is an acid, therefore it can cut through soap scum and hard water spots quite easily, according to the website Mrs. Clean USA. It is the best non-toxic way to clean your shower and deodorize it. Keep a glass shower clean quite easily. Mix 1 cup of white vinegar with 1 cup of water in a plastic spray bottle and shake it well. Spray the solution generously on to the shower glass and let it sit for a few minutes. Wipe the glass dry using either newspaper or a lint-free microfiber cloth. Repeat this process every week.